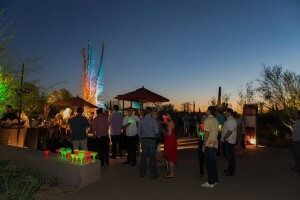 Agave on the Rocks returns to the Desert Botanical Garden on Friday, April 1, 2016, with gourmet cuisine prepared by renowned Valley restaurants and caterers, an eclectic mix of Latin inspired music and performance, and of course, margaritas. 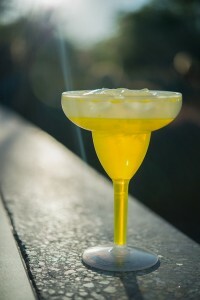 Guests will receive a margarita upon arrival served in a fun glowing glass. Cash bars featuring a variety of refreshing margaritas will also be available. Guest will also be able to view Bruce Munro: Sonoran Light at Desert Botanical Garden while at Agave on the Rocks. Suerte Tequila will have a sampling station where guests are can taste the evenings featured tequilas. A representative will be present to answer any guest questions and discuss the finer points of tasting. The tasting station will be open 6:30-8:30 pm. Guests must be 21 or older to attend and must show proper identification to be admitted. No exceptions. Children will not be admitted, even if a parent or guardian is present. Tickets must be purchase is in advance and will not be available at the door. Event programming is subject to change No outside food, beverage or alcohol may be brought into the event. No refunds, exchanges or rain dates. Event price represents full market value and is not tax deductible. Advance ticket purchase is recommended. You must be 21 years of age or older to attend, and must show proper identification to be admitted in to the event. For more information visit www.dbg.org. A “Phoenix Point of Pride,” the Desert Botanical Garden is one of only a few botanical gardens accredited by the American Association of Museums. It is a privately funded, non-profit organization and depends on revenues from admissions and gift shop sales, as well as contributions from individuals and businesses to fund its programs of environmental education, plant conservation and research. Next → Next post: An Aperitif for National Absinthe Day!